Pascal, Veronica, and daughter Noemie travel all the way from a snowy Switzerland with Luna, their seven year old Labrador who has had trouble walking for years. Their local Swiss vet thinks it’s a shoulder issue, but Noel thinks there may also be a problem in her elbow. Following CT scan and arthroscopy, Noel discovers that she has problems in both joints. Noel has only seen this particular combination of diseases a few times in his career. The problem in the shoulder can be treated using keyhole surgery, but the problem in the elbow is much more serious, and will require a more dramatic intervention. Luna travelled to Fitzpatrick Referrals all the way from the snowy Swiss Alps. She lives with her family Pascal and Veronica, and their four daughters. The family have had Luna since she was a puppy and she is a firm part of their home. The family began to notice something was wrong with Luna when she began to limp at just four months old. They managed to keep Luna happy by medically managing the problem but by the time she turned five, she was limping every day. After consulting a local Swiss vet, they were told that nothing could be done and that Luna would have a limp for the rest of her life – likely due to an issue with her shoulders. 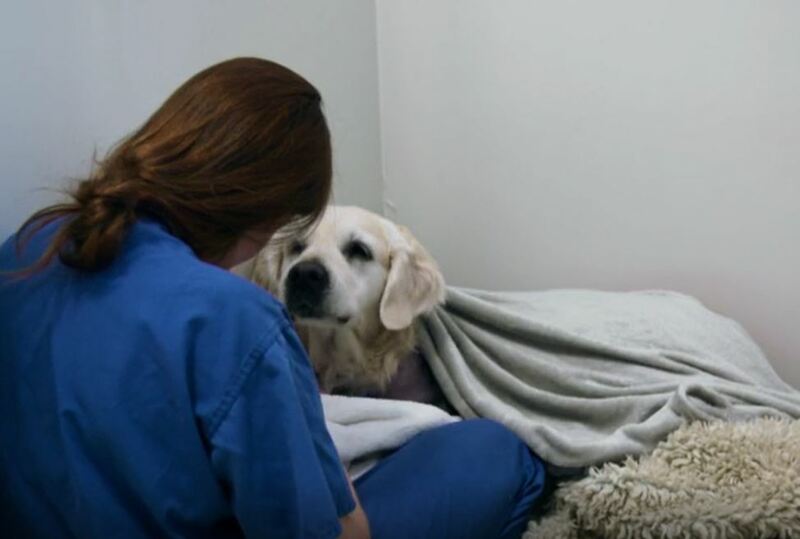 Determined to find a solution, they travelled to the UK to seek the help of Fitzpatrick Referrals and Professor Noel Fitzpatrick. Brushing up on his school French, Noel warmly welcomed the family and suspected that the issue wasn’t a result of the shoulders. An examination in his consult room led him to believe that the pain was in her left elbow and was likely the result of developmental elbow disease. 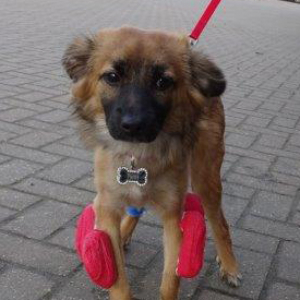 Luna had a CT scan which showed huge fragments in her elbows and grade four cartilage disease. Removing the fragments would only help ease the pain but not fix the problem – Noel suspected that surgery may be required. First Noel performed a procedure to remove the fragments and cut the tendons in each elbow to ease the pain in the joints. He then scoped the shoulder and found that the bicep tendon was being pulled off of the shoulder blade – a very rare problem. To ease this pain, Noel cut the tendon off of the bone – allowing for it to be reattached with scar tissue further down the joint. Luna was kept at the practice overnight and her family returned the next day. Noel explained that whilst the right elbow would gradually heal, the left would only get worse over the years. It was down to the family to decide whether further surgery would be the best option for Luna or not. The procedure would involve unloading the elbow by moving the force from the worn medial aspect of the joint over towards the lateral side of the joint by cutting the humerus bone in half. 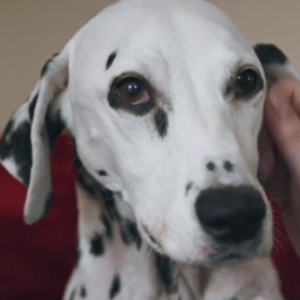 This procedure would help remove the pain Luna felt from her elbow. 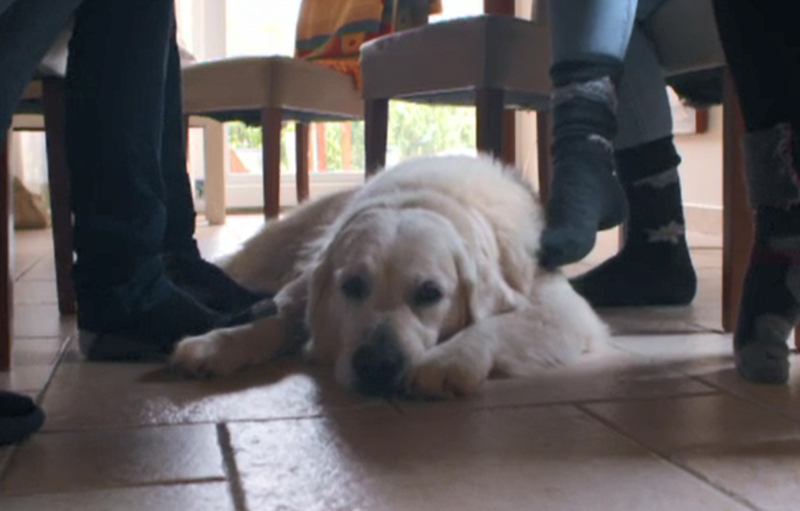 The family returned back to Switzerland and eventually decided to go ahead with the operation on Luna’s left elbow. Luna recovered phenomenally and was full of energy, playing pain-free in the snow.